Located just a short fifteen to twenty-minute drive north of downtown Bend, Tumalo State Park gives visitors a chance to escape the hustle and bustle of the city for a little while without being completely removed from civilization. The park’s location along the Deschutes River enables visitors to partake in fishing, hiking and mountain biking trails, golfing at nearby golf courses, and visiting alpine lakes. Mt. Bachelor and the Cascade Mountains are close by as well. Mt. 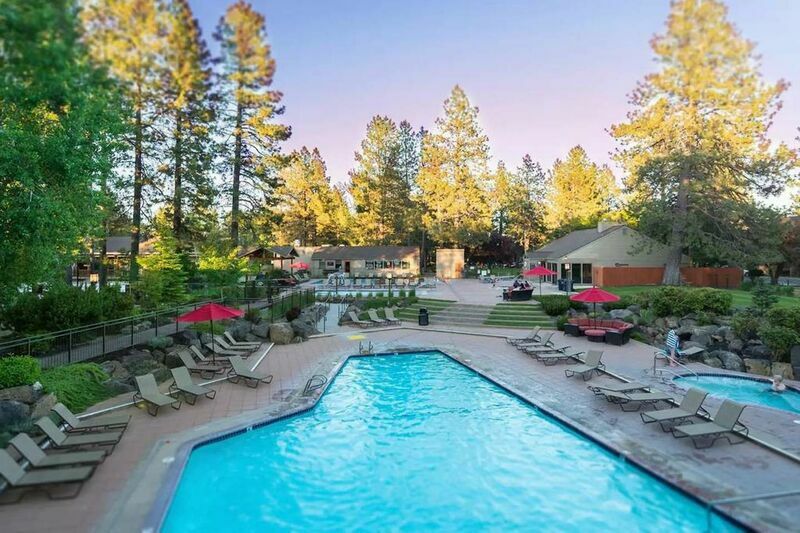 Bachelor is an iconic mountain peak in Bend that offers both summer and wintertime recreation. During the warmer seasons, visitors can hike and bike down its trails to their heart’s content. In the winter, Mt. Bachelor transforms into Central Oregon’s most popular skiing and snowboarding destination, whether you’re into downhill or Nordic skiing. The mountain also has one of the longest skiing seasons in the northwestern United States. Lava Butte is an iconic dormant cinder cone volcano that is part of a string of cinder cones in the Bend area that is thought to have erupted as early as 7,000 years ago. Today, it serves as a scenic hiking trail accessible on foot and by vehicle, depending on the season. There is also a nature center located onsite. The Deschutes River Trail begins in downtown Bend near the historic Old Mill District, beginning merely as a pleasant urban park trail that ultimately leads into some of the most gorgeous forest territory in Central Oregon. Spanning just shy of four miles, this trail system includes three separate paths for biking, hiking, and horseback riding. Despite having a shared moniker, Tumalo Falls and Tumalo State Park are located far away from one another. You’ll find Tumalo Falls located right next to Mt. Bachelor, about half an hour west of Bend. Here, you can witness stunning waterfalls one hundred feet tall while hiking in a pleasant, scenic atmosphere. The trail is also good for snowshoeing during the winter. Contact our team of reservation specialists today for more information on these pristine natural attractions and other amazing locations and activities you’ll encounter in Bend when you reserve your accommodations in one of our serene vacation rentals! We want you to expose yourself to the many Bend Oregon attractions.